This collaborative activity is an excellent team-building and bonding exercise, perfect for schools, community organizations, and workplaces. If you are interested in learning more about setting up this type of event for your group, contact Ameena at art@Ameena-Khan.com. 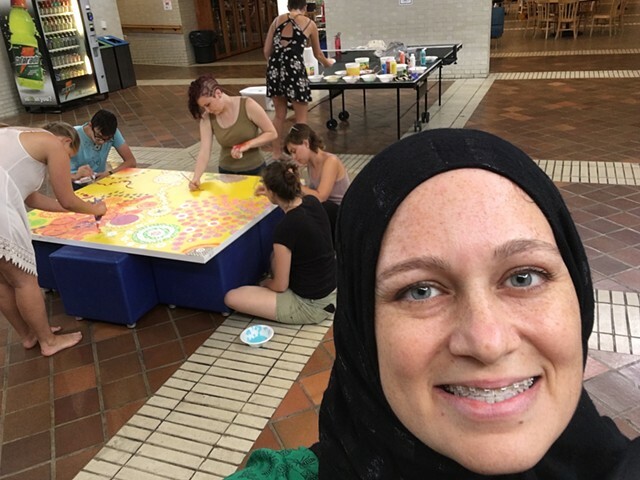 Collaborative painting session at the 9th annual "All Power to the Imagination" conference at New College of FL, April 30 2016.